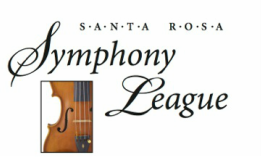 Attend the Spectacular 2018-2019 Santa Rosa Symphony Season! Here's a quick view of upcoming League Events and supporting opportunities you won't want to miss. Supporting our young musicians is easy. Click on the links and reserve your spot for your favorite event. See you there! Join a docent-led walking tour of an Asian specific botanical garden. Enjoy wine and appetizers in Jane’s Garden following the tour. Quarryhill is a wild woodland garden, intentionally not manicured, featuring one of the largest collections of wild sourced Asian plants in the world. Need a Tutorial on Buying Tickets Online? Download and print out these easy step-by-step instructions.